Investing in mutual funds can be a good alternative for the people who are interested to invest in equities but do not have much time and knowledge to invest individually. As mutual funds as professionally managed, can sit back and relax. However, there are many frequently used mutual fund terms that investor should know so that they can at least understand ‘how’, ‘what’ and ‘where’ of mutual fund investing. If you are a beginner, there may be a number of terms mentioned in the above table with which you might not be familiar. For example- Open end, Entry load, exit load etc. In this post, we are going to discuss such key mutual fund terms that every investor should know to make an informed investment decision. Here are the 23 most frequently used mutual fund terms that every investor should know. 1. AMC: It stands for Asset Management company. They are financial institutions that manage multiple funds like HDFC mutual fund, SBI Mutual fund etc. 2. NAV: It stands for Net Asset Value. This is the unit price of a fund. 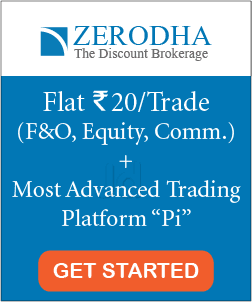 When a fund comes out with an NFO (New fund offer), it announces a price (generally Rs 10). Later, depending on the return of the investments, this price could rise or fall. It’s similar to the share price. For example- Shares represents the extent of ownership in a company. Similarly, NAV represents the extent of ownership in the mutual fund. 3. AUM: Asset under management is the total value of money that investors have put into a particular mutual fund. Top mutual fund companies in India manage thousands of crores of rupees. 4. Funds: These are individual schemes with specific goals and investment philosophies. For example- HDFC Index equity fund, Sundaram selects mid-cap fund etc. 5. Portfolio: The portfolio shows all the investments made by a fund (including the amount in cash). For example, if a fund has invested 80% of its total value in 40 companies and has kept remaining 20% of the amount as Cash (for a better opportunity in future), then this 40 companies and cash consist of the portfolio of that fund. 6. Corpus: This is the total amount of money that you’ve invested in a fund. For example- Let’s assume that you bought 10 quantities of a mutual fund where each unit is worth Rs 100. Then, your total invested amount with the fund is Rs 1,000. This is referred to as the corpus. 7. Expense Ratio: It is the annual fee charged by the mutual fund scheme to manage money on your behalf. It covers the fund manager’s fee along with other expenses required to run the fund administration. A lower ratio means more profitability and a higher ratio means less profitability for an individual investor. Generally, an expense ratio for an active fund can be between 1.5-2.5%. 8. LOAD: It is the fee that is charged when you buy or sell a unit of a fund. The load is a percentage of the NAV. Generally, a fund can charge an entry or exit load. 9. 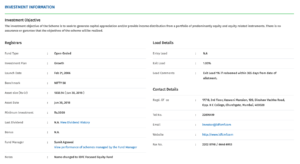 Entry load – This is the initial fee that you pay while entering a mutual fund. Here, you pay a percentage of the NAV. 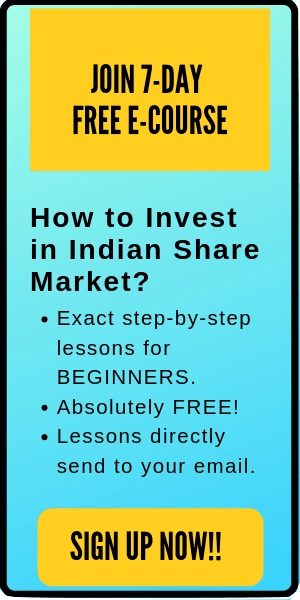 For example, if the entry load of the fund is 2% and you are investing Rs 10,000. Then it means that you pay Rs 200 as the entry load and Rs 9,800 will be invested in the fund. 10. Exit load – This is the charge for redeeming your unit i.e. this is that amount that you have to pay (as fees) when you sell your fund. Generally, the exit load is applied if you decide to sell your shares before a specific time period. Usually, it’s 0.5% when you withdraw before 365 days. For example, let’s say that the exit fee of a fund is 0.5% and the current NAV of your fund is Rs 10,000. Then, you’ll have to pay Rs 50 as the fee and you’ll get back Rs 9,950. 11. Redemption: Selling your fund back to the fund house (not to the general market) is called redemption. While redeeming, the value that you’ll receive is equal to NAV – exit fee. 12. SIP: A Systematic Investment Plan refers to periodic investment in a mutual fund. For example, the investor can invest a fixed amount (say Rs 1,000 or 5,000) every month, every quarter or six months to purchase some units of the fund. 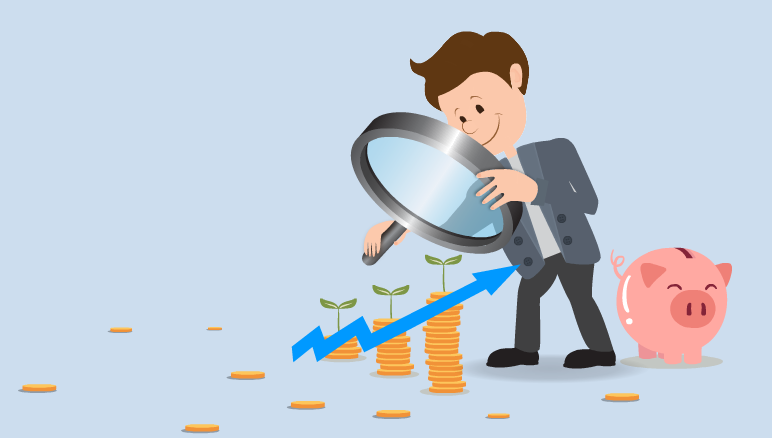 SIP helps in investing automation and it brings discipline to the investment strategy. 13. Lock-in Period: This is applicable for the Tax-saving funds. There is three years lock-in period for tax-saving mutual funds in India. 14. ELSS: It stands for Equity Linked Saving Schemes. ELSS is a diversified equity mutual funds with a tax benefit under Section 80C of the Income Tax Act (the maximum tax exemption limit is Rs 1.5 Lakhs per annum, under section 80C). However, to avail of the tax benefit, your money must be locked up for at least three years. 15. Open End Funds: The majority of mutual funds in India are open-end funds. These funds are not listed on the stock exchanges are available for subscription through the fund. Hence, the investors have the flexibility to buy and sell these funds at any time at the current asset value price indicated by the mutual fund. 16. Closed-End Funds:- These funds are listed on the stock exchange. You cannot buy/sell units form the fund house- but only from investors. They have a fixed number of outstanding shares and operate for a fixed duration. The fund is open for subscription only during a specified period. These funds also terminate on a specified date. Hence, investors can redeem their units only on a specified date. This is complex compared to the open end funds. 17. Equity Funds: These are the funds that invest in equities (shares of a company) which can be actively or passively managed. These funds allow investors to buy stock in bulk with more ease than they could purchase individual securities. Equity funds have different key goals like capital appreciation, regular income or tax-saving. 18. Diversified Equity mutual Fund: This is a kind of mutual fund that invests in equities (stocks) of various companies in various sectors. As the investments are diversified across different sectors, it is called a diversified equity mutual fund. 19. Debt Funds: These are funds that invest in debt instruments (fixed return investments like bonds, government securities etc). 20. Balanced Fund: A fund that invests in both equity (shares) and debt instruments (bonds, government securities etc) is known as a balanced fund. 21. NFO: A New Fund Offering (NFO) is the term given to a new mutual fund scheme. 22. CAGR: It stands for compounded annual growth rate. This is the percentage of return per year which is compounded (not simple). That’s all folks. If I missed any key mutual fund terms that are frequently used, feel free to comment below. #HappyInvesing.